The Danish Girl may have been slightly more successful had it been titled “The Wife of Lili.” It is a strange thought but for a film that is primarily about one of the first famous transgender pioneers, most of the more interesting elements seem to come from the person closest to the main character’s journey. This is to take nothing away from Eddie Redmayne. As he has already demonstrated in his fairly short career, he can transform into a role as well as anyone and although this was hardly as demanding as taking on Stephen Hawking, it didn’t come without it’s challenges and subsequent successes. The slow development from the character of Einer into Lili was subtle but clear. The movement, gestures and even smaller elements, like the way the character sat or even stared, helped transform the male Einer into the female Lili and Redmayne delivers this fantastically. Unfortunately, this story isn’t really the most interesting in the movie. Of course the idea of a man discovering he is transgender in a less than accepting, 1920’s society is an interesting story but Lili didn’t seem to live that struggle. When people speak of the struggle transgender people have, it seems to be with acceptance from loved ones close to them and for the most part, Lili didn’t have that trouble. If anything, the movie is more about the relentless acceptance of his wife, Gerda Wegener, played by Alicia Vikander. The transgender story at the center of The Danish often feels like a catalyst for the more engaging tale of the relentless love between a wife and her emotionally torn husband. At times, it doesn’t seem like the incredible true story is that of Lili Elbe and her inspiring journey, but more the woman who was willing to stand-by, support and aid her transformation. In fact, Alicia Vikander has rightfully received an Oscar nomination for her role. Unfortunately, it is in the Best Supporting Actress category rather than the more suitable Best Actress. This is her film as much as it is Redmayne’s and in many ways, she carries the more interesting angle. There is much more to the true life tale than just the marriage at it’s center. This is also the story of the first major surgical procedure to change a man physically into a woman. The medical side of the tale is where Lili finds her struggle and it often baffles when Redmayne’s character comes up against so many judgemental, confused and rash decisions from the medical profession She so desperately depended on. 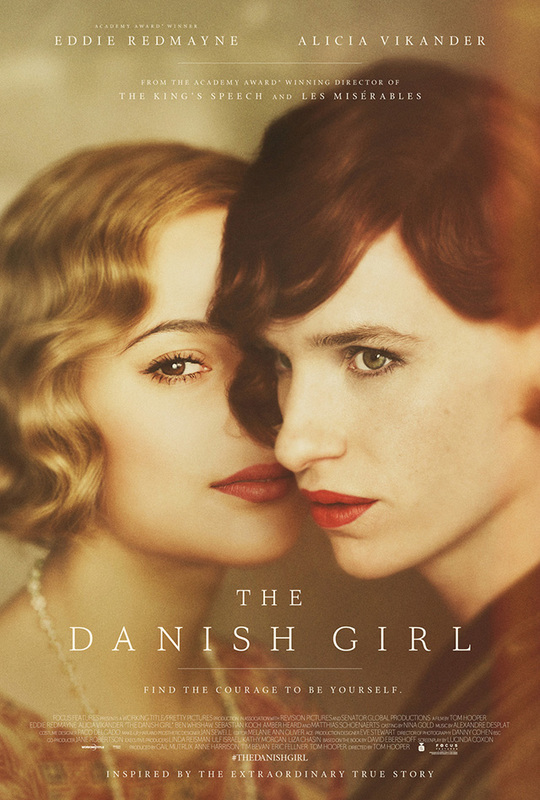 Overall, The Danish Girl is an incredible true story with many ground-breaking elements at it’s core but the inspiring tale is not necessarily solely with the film’s titular characters. Redmayne is fantastic as Lili Elbe but the more interesting story feels like Alicia Vakander’s Gerda, who had her own emotional, compelling story to overcome.